Wildlife Safaris in Tanzania, Things to do in Arusha!!! 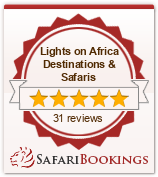 Tanzania wildlife safari tours with Lights On Africa is a lifetime experience that you should not want to miss. It is certainly an inexpensive gateway to explore what Tanzania has to offer in terms of wildlife and nature. All our wildlife safaris in Tanzania are found to be intriguing & fascinating, created by an excellent balance amid the wildlife, the magnificent landscapes and not to mention the welcoming Tanzanian folks. The Northern safari circuit of Tanzania is recognized for providing some of the best wildlife sighting tours and vacations in Africa. Its plenty of wildlife alongside annual immigration of millions of creatures over its Northern grasslands, make up a booming eco-system, which is now benefits from the strict conservation measures of the country. Close by Ngorongoro Conservation Area, Tarangire National Park and Lake Manyara National Park all offers exceptional wildlife safaris in Tanzania. With several years of experience in the Tanzania safari industry , Lights On Africa has the best of knowledge regarding the country and also its safari destinations. Our travel experts will work with you to produce a customized Tanzania wildlife safari that best suit your budget and interest. Whether it is an idyllic beach vacation on magnificent Zanzibar beaches or game viewing safari at the Seoul Game Reserve or a hot-air balloon ride on top of the Serengeti -we can arrange it all. The safari combination of Ngorongoro carter and Serengeti will simply leave you speechless.